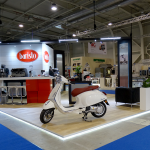 Prefix Ltd. carries out a full range of services and activities related to the presentation at trade fairs and exhibitions in Bulgaria and abroad. 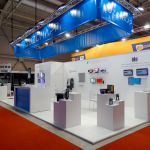 We work hand in hand with you to ensure your exhibition stand is delivered on time, on budget and on brief. 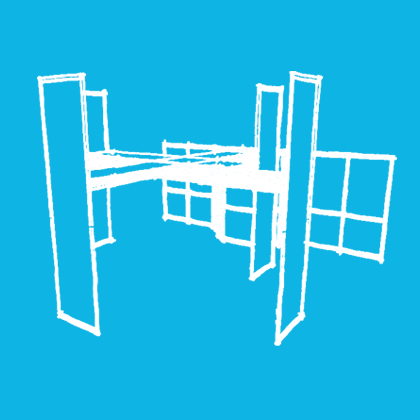 Being under one roof helps us keep in control of your exhibition stand at all times so your journey with us is organised and stress free. 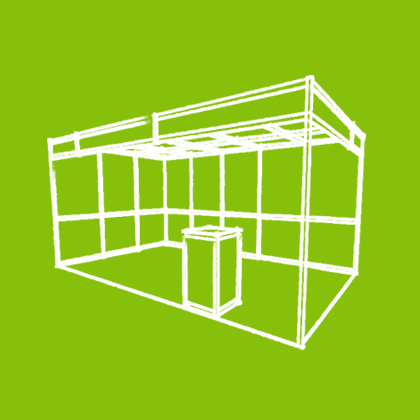 Exhibition deadlines cannot be changed, so we have a defined procedure that helps us ensure your stand design and build stays on track. Every project we design, build and install goes through the same process and transitions across our departments, who all play their own vital role in ensuring a great result every time. We design your stand, build it, ship it, install it, dismantle it and store it, all at Prefix, making the whole process seamless and simple. 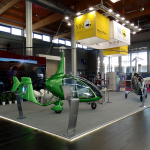 Modular exhibition stands are designed specifically to your needs using a wide range of standard components that fit together to offer an ideal exhibition solution. Maximum impact stands without the longer term investment of purchase and storage costs. 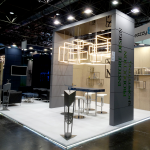 Custom modular hire stands offer a wealth of bespoke design options for maximum impact. 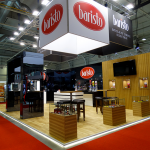 Custom exhibition stands that get your brand noticed. Choosing this option will provide you a unique stand specifically designed for you which will give you the best results. We like to take a consultative approach, so before we begin to conceptualise and plan your exhibition stand we sit down with you and really listen to what you’re trying to achieve. But we are not afraid to challenge your brief to get the best end result. Exhibiting can be expensive but it can also be rewarding and lucrative so we want to make sure you’re going to get the biggest bang for your buck. 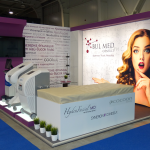 Our award-winning and passionate exhibition stand designers will create a stand that promotes your brand and creatively communicates your message. Your specific objectives are at the core of our thinking, whether they are lead capture, education, retention, market research, brand promotion or a combination of any of these. Our team works closely with you to help translate your requirements into a design that works both aesthetically and ergonomically. It’s important that your stand both ‘wows’ AND works. 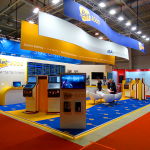 The three-dimensional impact of your exhibition stand is vital to attract visitor attention. However, to maximise the impact of your stand you need to communicate and connect your brand and your message with your visitors. Fundamentally that is achieved through your graphics. Graphic design for an exhibition stand requires a completely different rationale than graphic design for a brochure, so it is vital to use a design company that knows how to design for three-metre tall walls rather than just at A4. Knowing you are in safe hands is important, so we give each of our clients a dedicated project manager to act as a constant point of contact throughout the delivery phase of the project. That way you know exactly who to contact and the lines of communication are efficient. Our team of dedicated project managers ensures your delivery runs smoothly and you are kept up to date with the progress of the project. This part of the process needs to be very organised, so we use our sophisticated project management systems to establish a timeline. As with any timeline there will be key milestones where we will need sign off on elements like materials, flooring, lighting and colour schemes. We will also need a brief for your graphic design (or to be in receipt of artwork if you are using an external agency). We will make sure you are aware of these deadlines in plenty of time to enable you to meet them. We will then do all the internal liaising with our in-house production and the external liaising with on-site services. 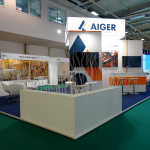 As a provider of exhibition stands across the world, all the services we offer are managed in house. You don’t have to waste time and money tracking down several different suppliers to do different jobs. 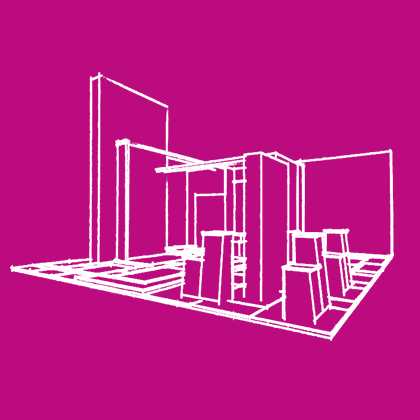 We make exhibiting anywhere in the world easy for you with our installation, dismantle and storage service. 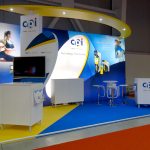 There is nothing to match the stress-free convenience of our dedicated exhibition stand build team, who will handle all aspects of the on-site services for you. Our builders make the whole process easy so all you need to do is show up and enjoy a successful show. We believe this success will lead to further deployment of your exhibition stand, and so we offer storage for your equipment between events. If you choose this option it also allows us to pre-build your stand again before each event, incorporating any re-design and graphic changes. 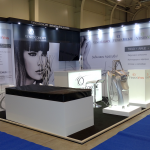 The right furniture can make or break a good exhibition stand design. It plays a large part in everything from the perception of your brand to the impact on your visitors comfort. We can supply all types of furniture for your exhibition stand. From bar stools, to boardroom chairs, seminar theatre benches, hospitality area sofas, to tables for two to twenty, we have a vast choice. Our designers skilful eye suggest furniture based on application, shape, material and colour to meet your brief, or you can browse the range and prices by following Concept Furniture.